PREVALENCE OF GRAM NEGATIVE BACTERIA IN OTITIS MEDIA PATIENTS IN ENT WARD/OPD OF NISHTAR HOSPITAL MULTAN. S.M Abbas Naqvi Nishtar Medical University Multan. 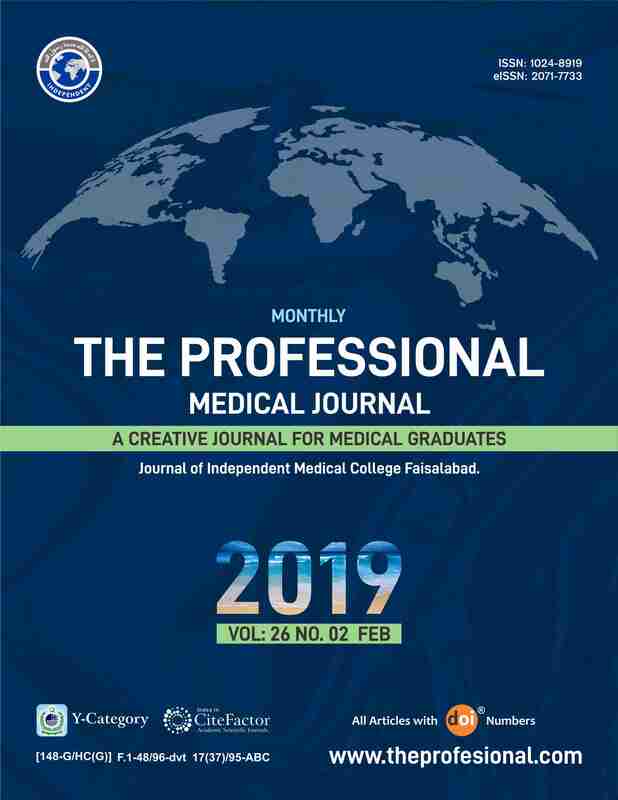 Rubina Yaseen Nishtar Medical University Multan. Zulfiqar Ali Naqvi Independent Medical College, Faisalabad. … Background and Objectives: The objective of this study is to determine pattern of bacterial isolates and their antimicrobial sensitivity pattern among patients with chronic suppurative otitis media. Study Design: Prospective study (descriptive cross-sectional study). Setting: Department of ENT and Microbiology, Nishtar Medical University and Hospital Multan. Period: June 2014 to December 2014. Material and Methods: A total of 50 patients presenting with chronic suppurative otitis media having unilateral or bilateral ear discharge were enrolled from OPD of ENT department of Nishtar Hospital. Results: Of these 50 patients with CSOM, 22 (44%) were male patients while 28 (56%) were female patients. Mean age of our study cases was noted to be 12.52 ± 11.53 years (ranging from 5 years to 52 years). Most burden of the disease was seen in children i.e. 25 (50%) of the patients were less than 10 years of age. During the whole study unilateral discharge was seen and table 1 shows 50 specimens of CSOM were investigated for bacterial infestation and found to be infected with different bacteria. the highest number of cases were infected with s. aureus 24 (48 %) followed by 11 pseudomonas aeruginosa (22 %), 11 proteus mirabilis (22%) and 3 E. coli (6%) patients. Conclusions: Due to variation in climate, community, accessibility of medical care and prescription of antibiotics, the pattern vary in CSOM patients. Therefore it is very important to identify the causative agents of CSOM and their sensitivity pattern against various antibiotics before treatment of the disease in the patients. S.M Abbas Naqvi, Nishtar Medical University Multan. Rubina Yaseen, Nishtar Medical University Multan. Zulfiqar Ali Naqvi, Independent Medical College, Faisalabad.